Getting your kids to improve their dental routine may be as easy as finding a kid-friendly dentist, and South Carolina has no shortage of them. Throughout the Palmetto State are dental practices dedicated specifically to children, giving them a friendly atmosphere, gentle techniques, and plenty of rewards for keeping a healthy smile. Who knows? They may even get excited about a trip to the dentist if you’re heading to one of these 10 best kid-friendly dentists in South Carolina. Once you step inside one of their many Lowcountry locations, you’ll notice that Children’s Dentistry isn’t just a dental office. It’s a place their patients look forward to coming to. They offer some of the best dental care in the area that’s both kid and parent-approved. Kids love the whimsical decor that make a trip to the dentist seem like a fairy tale. Greenville is home to some of the state’s most amazing places, so it’s no surprise that the city also offers some of the best dental care for children, too. This artsy, animal-themed office dazzles their patients, making going to the dentist seem a lot less scary. This colorful, charming office has what every kid needs to calm their dental anxiety. From bright, fun colors to video games and beautiful art work, a visit here might make your child excited to come back. 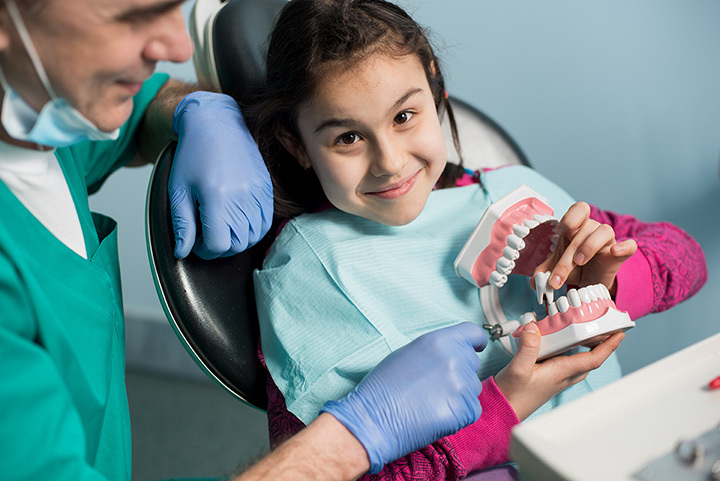 They specialize in dental care and techniques for all ages, even babies, to ensure your child’s health remains one of their top priorities into adulthood. From babies to teens and everyone in between, Upstate Pediatric Dentistry is dedicated to dental care at all stages of childhood. They want your child to be excited about their visit and have a created a warm, welcoming environment that puts a smile on their patients’ faces. The Falls Park-themed decor alone is more than enough to get them pumped. The folks here know how to create a good dental experience for their young patients. Kids love the Dr. Seuss-themed office, tooth-shaped mirrors, and the No Cavity Club, giving them plenty to enjoy during their visit. They care for each of their patients like they’re part of the family, making for an ideal visit even the most nervous child will love. Though Coastal Kids is comprised of five different offices, you can expect the same experience no matter which one you visit. The team is dedicated to serving children’s intricate dental needs, offering a variety of services under one roof to keep their patients smiling and happy. Aside from general dental care, the practice also offers braces to give them a smile they’ll be proud of as an adult. The dentist here is also a mom of young children. She understands what you go through as a parent taking your child to the dentist, and knows what it takes to create an exceptional experience that’s both kid and parent-approved. They take care to ensure each child feels good about being at the dentist, helping to calm fears and show them that dental visits can be both fun and rewarding. With three locations to serve its patients, a trip to the dentist here feels more like a sea-faring adventure. This coastal pirate-themed office is as much fun as it is nurturing, ensuring every patient gets the dental care he or she deserves. Bring along the camera—you’ve never seen anything like it! The name says it—they care for kid’s teeth. But what the name doesn’t mention is how well they excel at it. The staff here is energetic, fun, loving, and patient, and truly enjoys working with its younger clientele. Their attitudes go a long way in providing such a positive experience your child might even ask when they get to come back. The team here takes oral care seriously, and makes it their mission to give each patient everything they need to care as much about their teeth as the rest of their health. They constantly promote a friendly environment that’s both educational and fun to get kids excited about brushing and flossing. This way, the smile they create during their childhood will last long into their adult years.